A beautifully simple dish from Eric Chavot, this rustic cod with lentils recipe is a true Winter warmer. 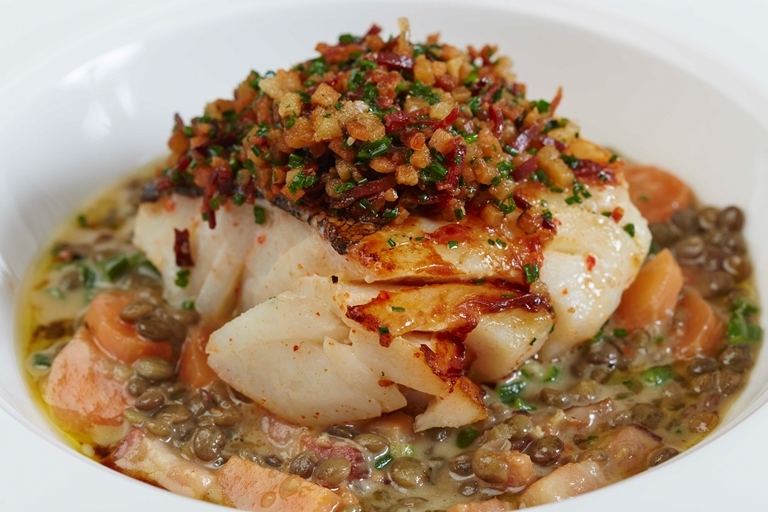 Pancetta adds salty depth to the puy lentils, and is a good balance for the delicate cod fillets on top. Eric Chavot’s cuisine has been championed by fellow chefs, diners and critics alike – not bad for a chef who arrived in London without a word of English and just twenty pounds in his pocket.